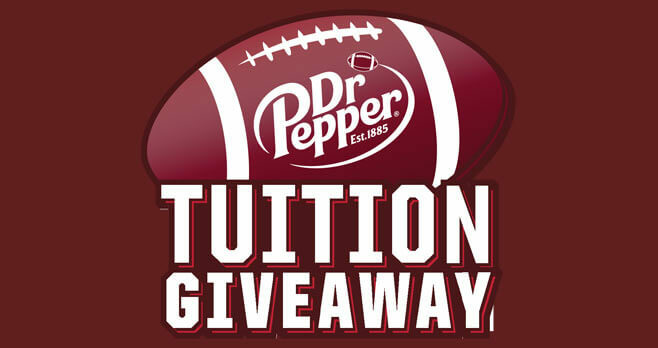 Tell Dr Pepper about your goal during the Dr Pepper Tuition Giveaway 2018 and you could win up to $100,000 in tuition. Get started at drpeppertuition.com and you could be the next winner. Eligibility: The Dr Pepper Tuition Giveaway 2018 is open to U.S. legal residents who are at least 18 but no older than 24 on 11/30/18. Promotion Period: The Sweepstakes begins at 8:00:00 AM PT on August 13, 2018 and ends at 11:59 AM PT on October 17, 2018. Limit: Limit one (1) Goal per person. Prize(s): The grand prize consists of a trip for twoto one of the Grand Prize Games as a “Pass Contestant” to participate in the pass competition for the chance to win a $100,000 Tuition.